The invention of the airplane changed the course of human transportation forever. As a result, we have access to a global air travel network that enables people to broaden their horizons like never before. As air travel has evolved, airplanes have been developed with increasing lift and carry capacity in order to transport more people and cargo to their various destinations. Just how large can modern airplanes get? Today we’ll be learning a little bit about each of the 10 largest airplanes in the world. This list will rank them in order of size based upon their Operating Empty Weight: the weight of the complete, functional aircraft without cargo. Despite its origins in the Cold War-era Soviet Union, the Antonov An-22’s first public appearance took place at the 1965 Paris Air Show. 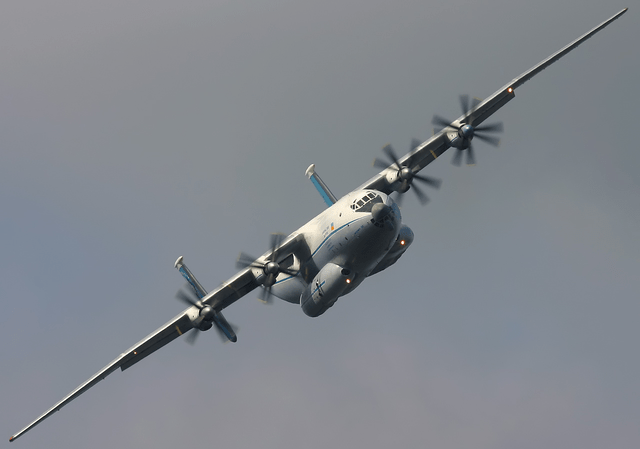 Classified as a “large capacity turboprop freighter,” the An-22 is the largest of its type ever built. Its primary use during the present day is airlifting in military and humanitarian missions. The three original prototypes of the An-22 were built in Kiev, Ukraine, and had glass noses. Airbus is a multinational company that produces a variety of wide-body jet airliners in multiple European countries. The twin-engine A350 is their first aircraft featuring fuselage and wing structures made mainly from carbon fiber reinforced polymer. The composites used in the making of the A350-900 allow for improved pressure and humidity, reducing symptoms of travel fatigue for passengers. The A350-900 is built with a focus on efficiency and customer experience. It even uses hospital-grade air filters in its circulation system to reduce the risk of passengers getting sick. This huge jet is currently the largest twin engine plane in the world. One of the largest operators is British Airways, which took part in the design of the Boeing 777. A signature trait of this giant commercial airliner is its roomy, well-insulated cabins that provide passengers with a wide, quiet space. The longer fuselage of the Boeing 777-300 provides more room for passenger seating than previous models, allowing for up to 550 seats. 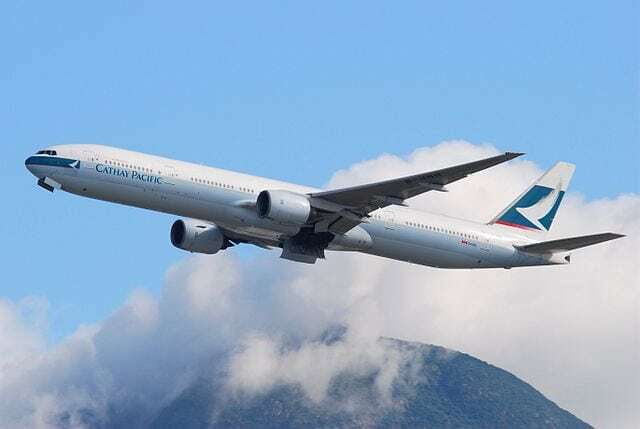 This long range, high-capacity airliner incorporates some of the tried and true elements of the A330 and combines them with the latest innovations. 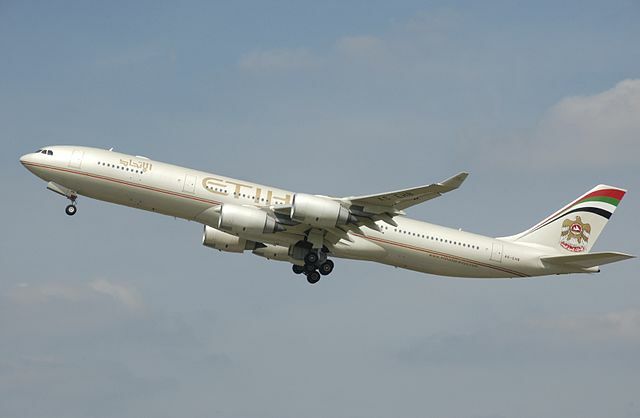 As a result, the A340-500 boasts higher fuel efficiency and lower maintenance costs than its predecessors. Even with its new and improved design, the A340-600 still requires a lot of fuel for its long journeys. The fuel comprises much of the aircraft’s total weight. The original A340 was assembled in Toulouse, France, and later models served in the Air France airline fleets. Also known by its NATO reporting name, “Condor,” the Antonov An-124 Ruslan is designed with heavy hauling in mind. At the time of its early construction, it was the heaviest gross weight production cargo airplane in the world. It was also ranked the largest aircraft in the world until it was outdone by the Lockheed C-5 Galaxy. The Antonov An-124 was built with several features to make cargo loading and unloading easier. These features include ramps, internal cranes, and front-end kneeling. The largest-capacity member of the Airbus A340 family, the Airbus A340-600 can accommodate 350-475 passengers depending on seating density. 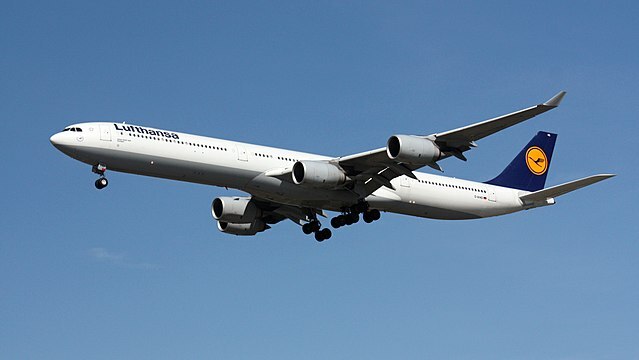 After 20 years of service, Airbus brought production of the A340 aircraft and its variants to a close in 2011. The larger and heavier aircraft have been phased out during recent years in order to make way for more efficient twin-engine vessels. Until the rise of twin-engine jet planes, the A340-600 was considered highly desirable for its state-of-the-art, aerodynamic design and roomy passenger space. 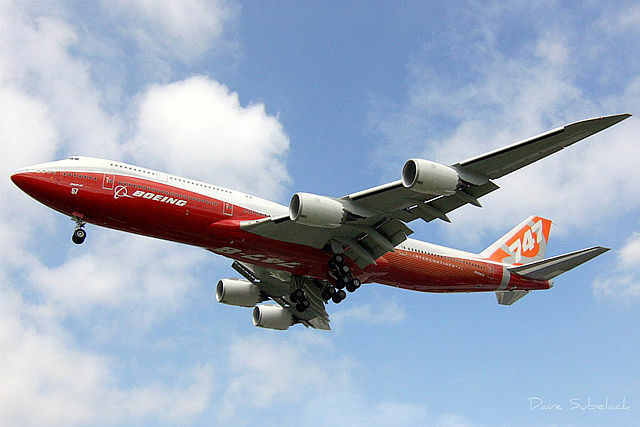 This four-engine, wide-body jumbo jet serves over 210 airports around the world. The Boeing 747-400 boasts six more feet of length in each of its wings, which are carefully angled to improve this airplane’s aerodynamics over those of previous variants. The 747 is nicknamed the “Queen of the Skies,” hearkening to its widespread reputation and popularity. In 1988 during a test intended to simulate heavy-weight stalling, the first 747-400 built set a world record for the heaviest airliner takeoff. The massive 747-8 Intercontinental is the passenger variant of the Boeing 747-8. With over 400 seats and a wingspan of over 224 feet, the 747-8I dependably transported passengers across the globe for years. Now, however, while still included in current airline fleets, this jumbo jet might be on its way out. Most airlines are choosing smaller, more efficient aircraft that can cover the same distance. While the 747-8 Intercontinental airplane is being phased out, the cargo variant of the 747-8 will very likely still be used. 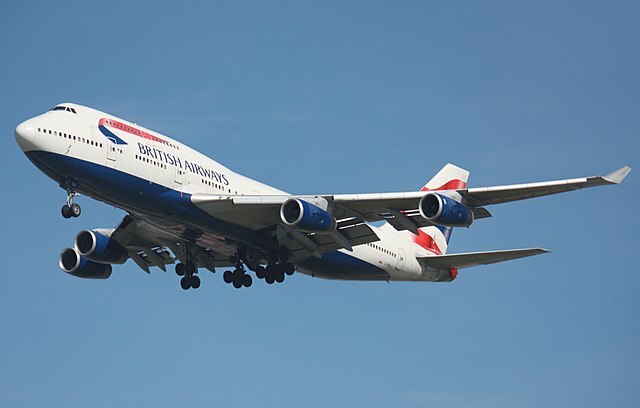 The A380 was originally manufactured in two variants: the A380-800 for passengers and the A380F for cargo. The largest operator of the colossal Airbus A380-800 is the United Arab Emirates, servicing routes all over the world. The A380-800 variant is among the fastest, capable of a cruising speed of around 560 MPH. The A380-800 aircraft can accommodate 469 passengers, which are divided by each airline into different classes. The Antonov AN-225 Mriya is the largest airplane in the world. This awe-inspiring airplane ranks above all other in terms of Operating Empty Weight, length, and wingspan. The internal cargo bay is impressive in size as well, at 142 feet long. Only one Antonov AN-225 was ever built, and its purpose was to carry components of the Soviet space shuttle Buran. 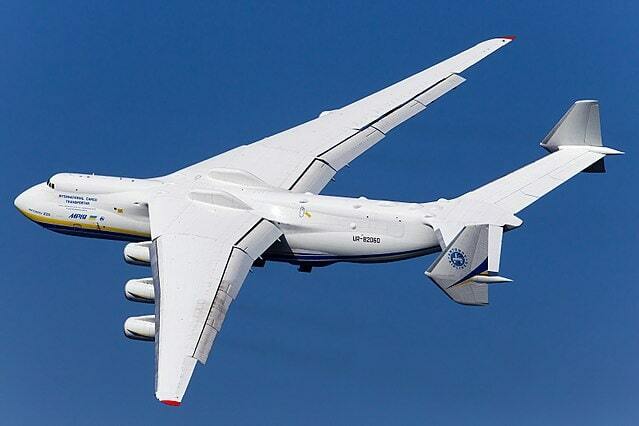 The single Antonov AN-225 is nicknamed “Mriya,” which is the Ukrainian word for “dream”.